University of Michigan anthropology professor Jason De León leans forward, adjusting the frame in his 35mm camera—a beat up Nikon F3—as a group of men encourage him to take one more shot. "Hey gringo, take a picture of this so that your students can see how we Catrachos do it! I hope this one goes in your book," yells one of the Honduran immigrants trying to make their way through Mexico into the United States. 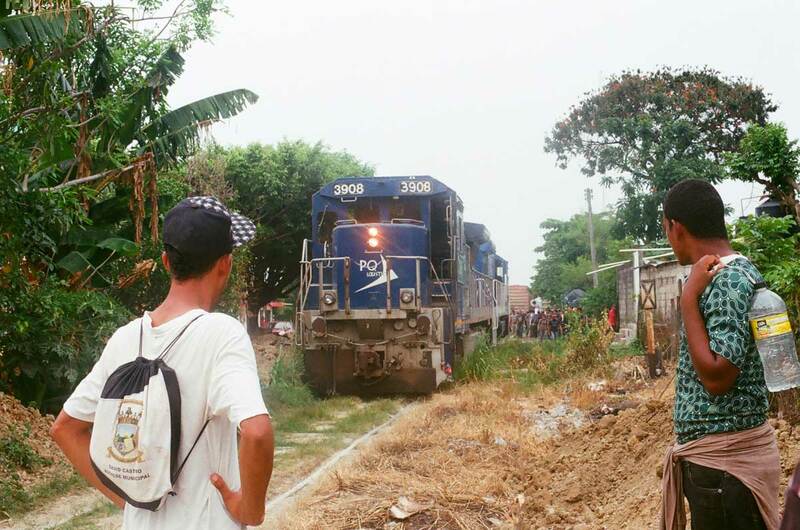 Soon, De León says, they will board the limb-shearing freight trains known as "La Bestia" (The Beast), that will get them to the U.S.-Mexico border if they don't slip and fall to their deaths while sleeping on top of the train or run into trouble with Mexican immigration police, and somehow manage to pay the gangs between $7,000-$8,000 to make it to the border. Those without the means to pay will try the journey by foot through the jungle, where machete-wielding bandits and corrupt government officials add to nature's dangers. 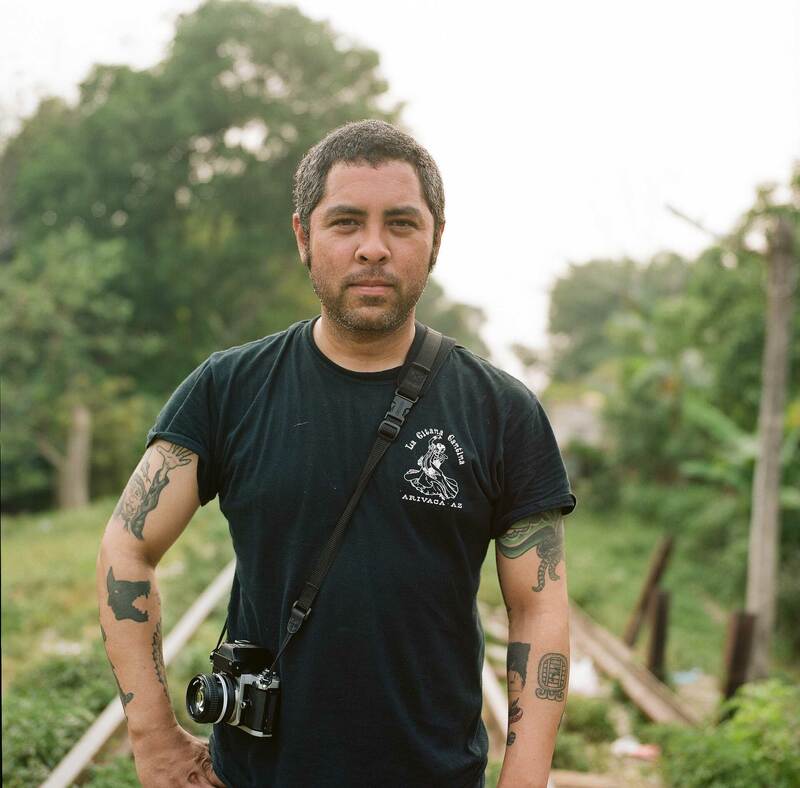 After spending more than six years documenting the movement of undocumented migrants from Mexico to the U.S. through the Sonoran Desert of Arizona, De León recently turned his attention to those fleeing violence and poverty in Central America for their chance to make it to the U.S.
His research seeks to put a face to the migration experience and to understand a process that is highly politicized and poorly understood. "I've spent a lot of time with migrants as they prepare to go into places like the Arizona desert or after they've been deported back to Mexico," De León said. "Intellectually, to me, it's all anthropology. Whether it is looking at stone tools or talking to people, it's very much about learning about the human experience and the human condition." While undocumented migration from Mexico has remained steady since 2009, the influx of migrants from the northern triangle of Central America—El Salvador, Honduras and Guatemala—peaked in 2014, and the most recent projections by U.S. Customs and Border Protection estimate a new surge. To study the phenomenon, De León has spent considerable time on the migrant trail himself, traveling between cities, talking to migrants, smugglers and immigration and government officials to gain a better understanding of the causes of the changing migration patterns and how immigration policies have affected people's lives in the U.S. and abroad. 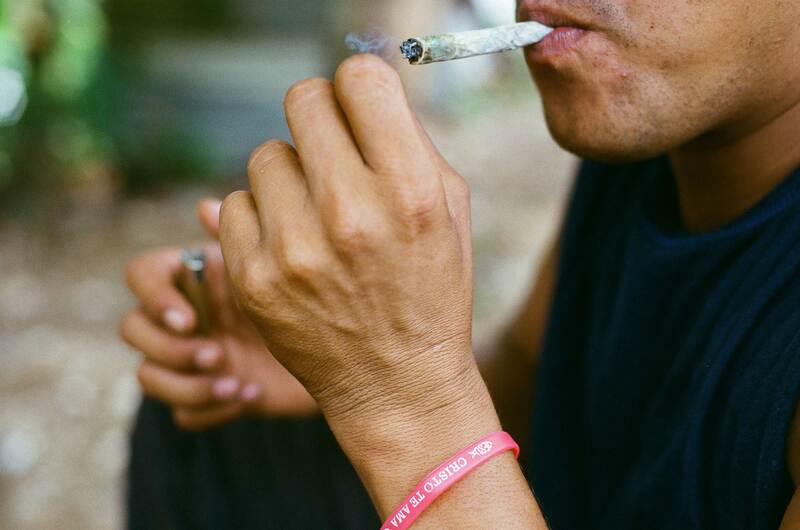 The past two summers, De León spent time in Pakal-Na, a small town near Mexico's southern border, one stop in a journey of more than 2,000 miles that thousands of Central Americans take every year—and that very few complete. There, smugglers, drug dealers, petty thieves and kidnappers await—near a migrant shelter they've been banned from—for the desperate Central American migrants to determine if and how much money they can make from them. In stark contrast, only four miles but a full world away, tourists visit the impressive Mayan ruins of Palenque. Wearing shorts and sunglasses, visitors take photos of working-class Maya, check out trinkets, lay on the ground to enjoy the sun, oblivious to the undocumented Central Americans trying to get to the northern border and the smugglers that profit from their movement. Back at his lab in Ann Arbor, De León carefully pours a developer solution in a plastic jug that contains the black and white film of the photos he took in Mexico. 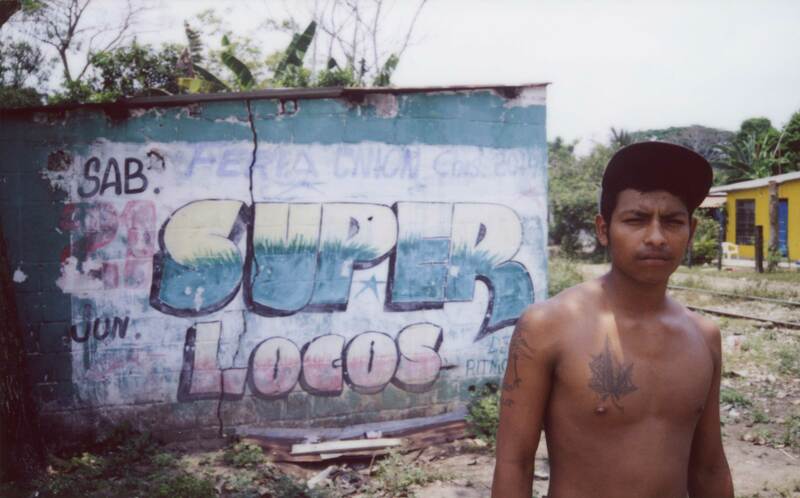 Born in California to parents of Mexican and Filipino descent, De León says he's always been interested in the enormous complexity of undocumented migration. While he claims California as his home, he said living in Texas, as well as his interactions with migrants while doing research in Mexico, focused his interest on the issue. In 2009, De León started the Undocumented Migration Project, a long-term anthropological study seeking to uncover the stories of migration behind thousands of artifacts—shoes, photographs and other materials—discarded by undocumented migrants along the border. The project illustrates the perils migrants face and how the U.S. government's "Prevention through Deterrence" program, he says, has increased the violence suffered by migrants on their arduous journey. To wrap up that part of the project, De León published last year "The Land of Open Graves: Living and Dying on the Migrant Trail," which details the experiences of the many migrants trying to cross the U.S.-Mexico border, and the deaths of some of those that didn't make it. The book recently won the Margaret Mead Award from the American Anthropological Association. His research has also earned him a seat at the table on immigration issues with policymakers both nationally and internationally. Just last March, he spoke in Mexico at the Regional Conference on Migration. De León is often quoted in newspaper articles and magazines, including a recent article in the Christian Science Monitor. 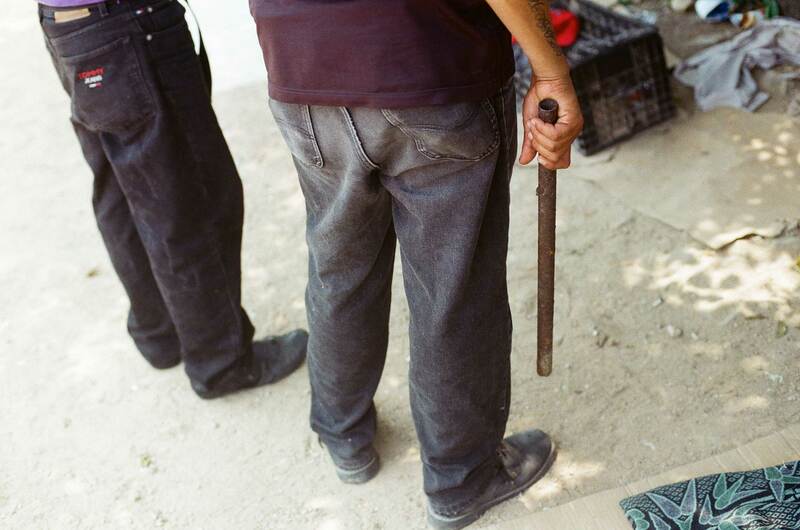 Along with photographer Richard Barnes and U-M performance artist Amanda Krugliak, De León developed the exhibit State of Exception, which represents the human cost of undocumented workers entering the U.S. from Mexico. The exhibit has been on tour for three years and was recognized with the first Artista Latino Award at ArtPrize. "The goal has not only been to understand what's going on (with) all these types of violence but also to try to humanize that," De León said. "All this research and the publications, the museum exhibitions...at the end of the day is to say people die in the desert brutally. They have names, they have faces, these are their stories. The purpose is to present something that's not a simplistic narrative about migrants but rather to tell a story about people. This is what happens to people." While Central American migration through Mexico is not new, it wasn't until 2014 that Americans noticed the huge influx of Central Americans coming through the southern border. With the economic support and encouragement of the U.S., Mexico launched the Plan Frontera Sur to keep Central Americans from making their way across Mexico into the U.S. The plan has arguably worked. 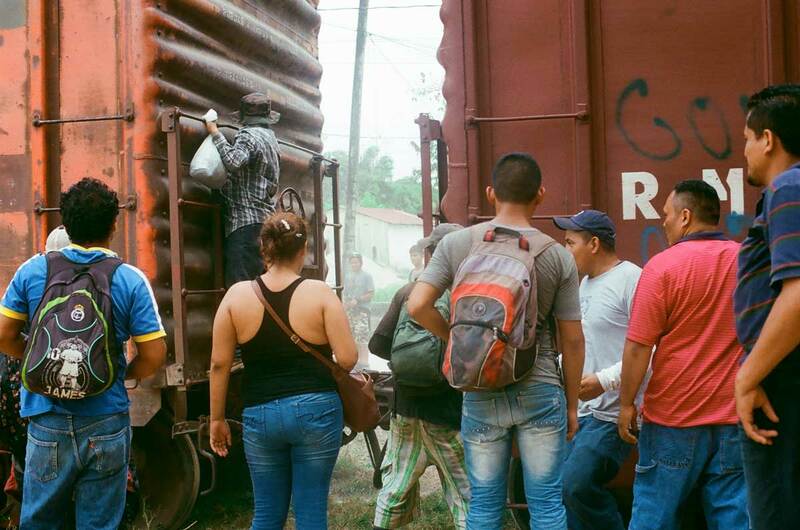 In 2015, Mexico deported more Central Americans than the U.S., but it has also prompted an escalation in human rights abuses by officials at all levels—and has made the business of smuggling migrants a much more profitable one. The stories of desperate mothers and young men fleeing violence, trying to reach the promised land. The stories of smugglers, who fled one type of violence to start inflicting other types in a foreign country, who became the bad guys because there was little else they knew how to do, who will probably not make it to 30. "I want to put a human face to the migration experience, to use anthropology to show that when we talk about immigrants, when we talk about border crossers, when we talk about border security, there are people who are involved in these processes that have interesting, difficult lives much like all of us," De León said. "This work can hopefully help us think of them as individuals and as people that are caught up in much bigger systems. "The slowing down of Central American immigration is not because we got tough at the U.S.-Mexican border. It's because we got tough at the Guatemala-Mexico border. The human rights violations are terrible. 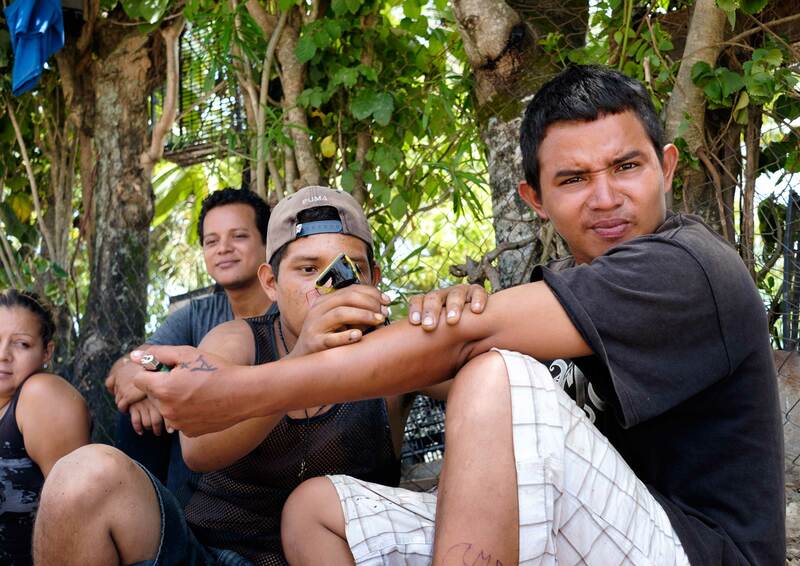 Mexico is working to stop immigrants because we're paying them to do it." If you're looking for simple answers on how to fix U.S.-Latin American immigration, De León is not your man. Migration, he says, is a complex entanglement of U.S. foreign policies, drug consumption, trade agreements, and political and economic instability in sending countries. "Policies that we've had in place in the U.S. to slow down drugs, to slow down undocumented migration, have forced criminal organizations to get more organized," he said, adding that human smuggling used to be "mom-and-pop" shops. "Now, cartels are involved in it and people are making a lot more money from this because in order to provide the services that people have consistently needed, they get to charge more money and they have to be more organized. De León says that everything we do in terms of border enforcement directly impacts smugglers—providing them with more work and more money. "If we start looking at historical connections between our government and their governments...all of a sudden these policies solely directed at the border don't address these much larger, complex issues. "I think it's incredibly inhumane and cruel to run people through this very brutal gauntlet at the U.S.-Mexican border, and now the southern Mexican border, and still offer them jobs and allow them to live in the shadows," he said. "For me, you can't do both. The hypocrisy is so unfair. But then the question is what do you do. Is it an open border? A guest worker program? We can put a guest worker program in place, we can police the border but we're still not dealing with the root political and economic issues in these countries that are encouraging people to migrate."